BuyersPersonalized Home SearchOur GuaranteeMortgage CalculatorMortgage Pre-ApprovalFirst Time BuyersMaking an OfferWhat Are Closing Costs?Financial Terms GlossaryForeclosure For SaleNew ConstructionOut-Of-Country PurchasesFINTRAC: What is it? 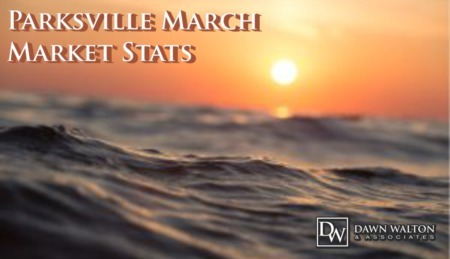 Parksville Vancouver Island Real Estate Market Stats March 2019 Condos Priced From $100,000 and $200,000 in Nanaimo - April 2019 Old City Quarter Nanaimo Real Estate Market Stats March 2019 Homes For Sale in Nanaimo Priced Between $700,000 & $1,000,000 North Nanaimo Vancouver Island Real Estate Market Stats Mar 2019 Homes For Sale in Nanaimo Priced Between $500,000 and $700,000 Lantzville Vancouver Island Real Estate Market Stats March 2019 Ladysmith Vancouver Island Real Estate Market Stats March 2019 Homes For Sale in Nanaimo Priced Between $300,000 and $500,000 North and South Jingle Pot Real Estate Market Stats March 2019 Hammond Bay, Nanaimo Real Estate Market Stats from March 2019 Pleasant Valley, Nanaimo Real Estate Current MLS Listing Update Diver Lake, Nanaimo Real Estate Market Statistics for March 2019 Brand New Nanaimo Home Listings for the first 10 days of April Departure Bay, Nanaimo Real Estate Market Stats for March 2019 Brand New Home Listings located in Nanaimo on Vancouver Island Chase River / Cinnabar Valley Real Estate Market Stats Mar 2019 Central Nanaimo Real Estate Market Statistics from March 2019 Townhouse Style Strata Market Update from your Nanaimo Realtors Cedar & Yellow Point, Nanaimo Real Estate Market Stats Mar 2019 Apartment Style Condos Market Update from your Nanaimo Realtor Brechin Hill , Nanaimo Real Estate Market Statistics March 2019 4 Benefits of Planting a Garden Single Family Homes Market Update from your Nanaimo Realtor Team Uplands, Nanaimo Real Estate Market Statistics February 2019 North Nanaimo, Vancouver Island New Listings since March 1, 2019 University District Nanaimo Real Estate Market Stats Feb 2019 Condos and Townhouses For Sale in Nanaimo $500,000 & $1,000,000 South Nanaimo Vancouver Island Real Estate Market Stats Feb 2019 Nanaimo Condos and Townhouses Priced From $350,000 & $500,000 Qualicum Beach Vancouver Island Real Estate Market Stats Feb Nanaimo Condos and Townhouses Priced From $200,000 and $350,000 Parksville Vancouver Island Real Estate Market Stats Feb 2019 Nanaimo Condos and Townhouses Priced From $100,000 and $200,000 Old City Quarter Nanaimo Real Estate Market Stats February 2019 Houses For Sale in Nanaimo Priced Between $700,000 and $1,000,000 North Nanaimo Real Estate Market Stats February 2019 Houses For Sale in Nanaimo Priced Between $500,000 and $700,000 Lantzville Real Estate Market Stats February 2019 Houses For Sale in Nanaimo Priced Between $300,000 and $500,000 Ladysmith Real Estate Market Stats Feb 2019 Ticket Tuesday! 4 TICKETS - THIS WEEKEND Spring is Here! Get Your Home and Your Mind Ready Super Sneak Peek - Rare Parksville Find 3 Ways to Sweeten Your Offer Loaves & Fishes Hockey4Food Ticket Giveaway COMING SOON - 4678 Laguna Way Make Your Resolutions a Reality 5 New Year's Resolutions to Sell Your Home How does Generation Z perceive home ownership? Home-Buying Goals? 5 New Year’s Resolutions to Keep Winter Means Opportunity For Buyers and Sellers Which Home Improvement Upgrade Would you Choose? 6 Ways to Create Space for Holiday House Guests 10th Annual North Nanaimo Pumpkin Patch 4 Apps to Save You Money 7 Reasons Why Fall IS the Time to Buy or Sell Why You Should Buy a Cabin or Cottage in the Fall COMING SOON: South Jingle Pot Mobile Home COMING SOON - 402 - 1900 Tulsa Rd COMING SOON - Oceanview Equestrian Acreage 5 Tips to Turn Your Starter Home into a Luxury Haven COMING SOON - Pacifica Waterfront Condo 3 DIY Projects To Do Before Fall COMING SOON - Ocean View Condo Play Space for Pets What Emotions Do You Have When Buying a Home? 4 Ways to Break the Ice With Your New Neighbours Ways to Increase ROI Your Home Inspection Checklist Top 5 Garden Trends Most Common Mortgage Questions – And Answers How to Buy a Home Without Stress 4 Factors That Will Affect Housing Activity in 2018 How The New Mortgage Rules Might Affect You 4 Tips for Creating a Home Gym With Limited Space What’s More Important: Style or Location? 5 Reasons to Buy a Condo Moving Tips That Will Save You Time And Money! 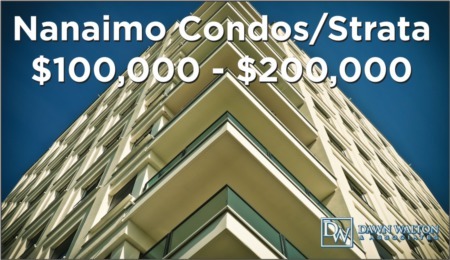 10 Free Things You Didn't Know You Could Do In Nanaimo, BC Nanaimo Neighbourhood Spotlight: University District Best Places to Live in Nanaimo for Families What Is Your Home Really Worth? Assessed and Market Value Explained! How to Buy Your First Home in Nanaimo's Competitive Market 5 Fun Nanaimo Events other than the Nanaimo Marine Festival Top 5 Tips for Selling a Home in Winter Is Getting a Home Mortgage Still Too Difficult?